Jürgen Klopp has acclaimed the form of Roberto Firmino, describing the forward as the ‘engine’ of his Liverpool team. The No.9 has excelled during the Reds’ run of four consecutive victories, with his tireless pressing from the front causing problems for the opposition and creating openings for his team. 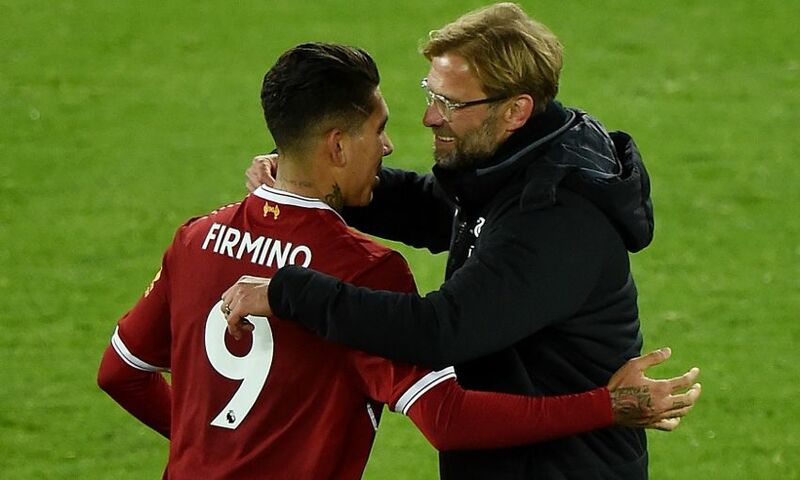 And though Firmino has only found the back of the net once during Liverpool’s quartet of back-to-back wins, Klopp is convinced the Brazilian soon be back on the goal trail himself. Speaking to Liverpoolfc.com, the boss said: “What a player! What can I say? If he loses the ball, he fights for it back. If he loses it again, he fights for it. “He looks like the engine of the team. In the game [against Southampton], he was not scoring or [was] being a step too far left or right in the goalscoring moments. Then he shoots, it’s saved but Phil scores. But he stays in the game. “I really like how the crowd appreciate it. It’s really nice to see and he deserves it, he works so hard. Klopp continued: “I am really pleased with the squad. They have to prove themselves again [tonight], but the progress we’ve made again is pleasing. “In this season, we settled a little bit, had a knock, but then we came back and that’s a good sign - a really good sign - so we need to carry on. “Now, we can talk about whatever we want and if we lose [against Sevilla] we will talk about something new, but it’s exactly the same situation.